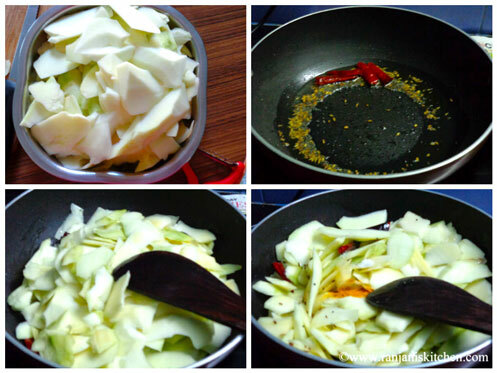 Wash the mango, peel off the outer skin using knife or peeler. Then cut the pulp into desired shapes. But cut it thinner. Then boil ½ cup of water. 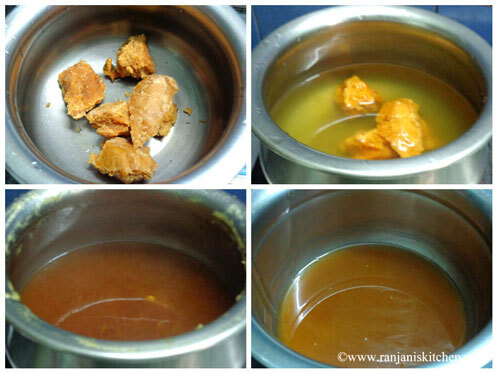 Once it starts to bubble add powdered jaggery and allow it boils till the jaggery fully dissolves. Then filter the syrup and remove the residues. Keep this jaggery syrup aside. Now Heat a strong bottomed pan, add oil, once heated temper with the items given under “ To temper”. Then add chopped mango pulps, sauté for 5 minutes in medium flame. Then add chilli powder and turmeric powder and sauté for a minute. Now add ¼ cup of water and salt and cook covered for 4 mins. Finally add the Jaggery syrup and cook for 5 minutes. 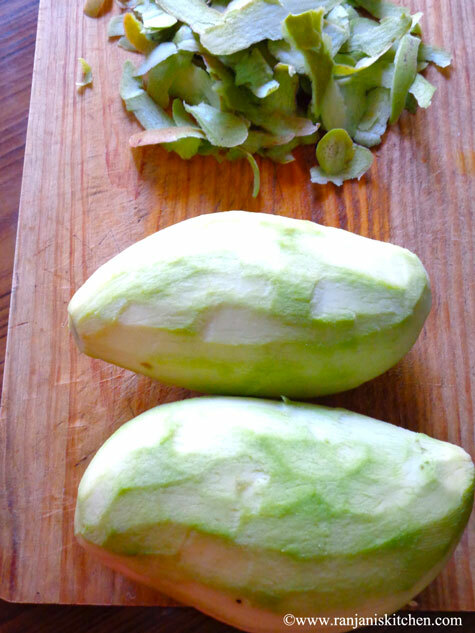 After 5 mins, it will reach Jam or pickle consistency. Now switch off the stove and garnish with Neem flowers. The addition of neem flowers is optional only. I didn’t get the flowers so I omitted. 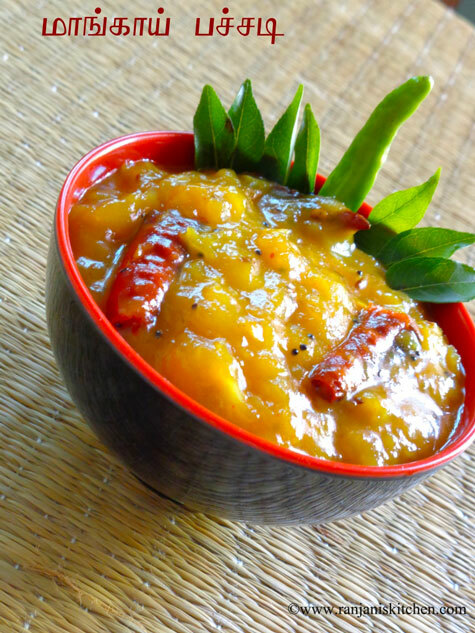 If you want more sweetness, you can add 1 cup jaggery instead of ¾ cup. I used jaggery syrup to remove the residues. But you can directly add the jaggery powder also before adding water. Adjust the salt and spice powder depends on your taste. Cut thin slices of mango pulp. But no need to be in a proper shape. I am drooling right now!! 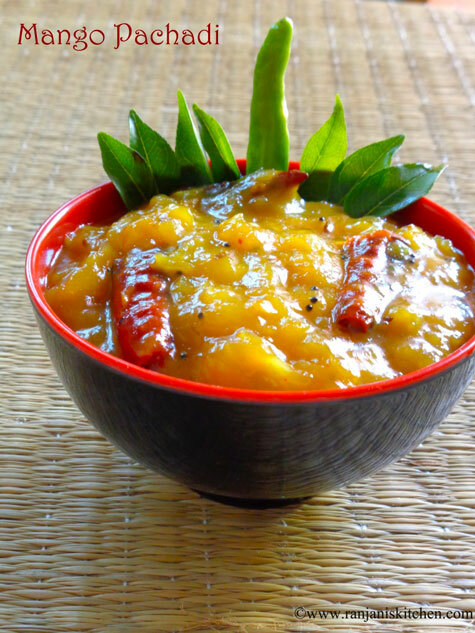 Love mango pachadi. This looks so yummy! 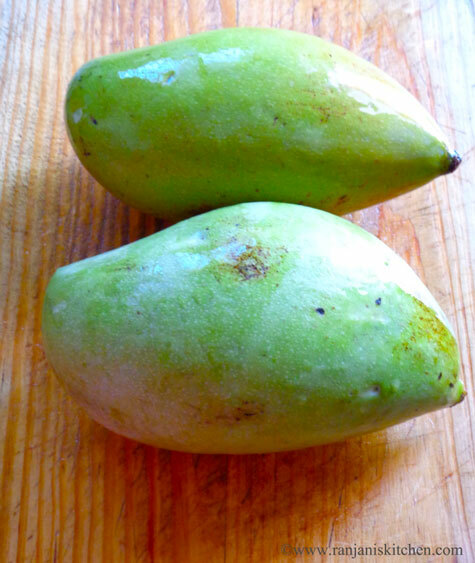 It’s the mango season. I would definitely try this mango variations.